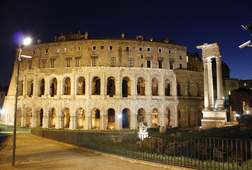 Rome by night walking tours - Across the most famous piazzas and past the most beautiful fountains. 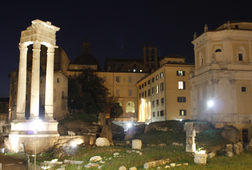 Come join us for a leisurely stroll on one of the best Rome by night walking tours down the winding roman back streets on this Rome walking tour to discover the beauty of Rome by night. 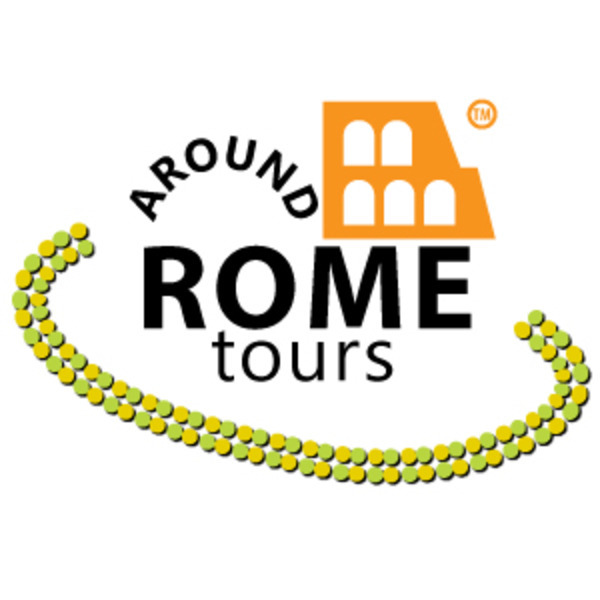 Our guides will lead you through the maze of back streets which connect Piazza Della Repubblica, Piazza Barberini, Piazza Spagna, Piazza Navona, revealing treasures such as the Trevi Fountain, the Spanish Steps and the Pantheon along the way so you too can experience on these Rome by night walking tours how the city is transformed after dark. Beginning our Rome by night walking tours journey from Piazza della Repubblica and heading towards Piazza Barberini and Bernini’s Triton Fountain. 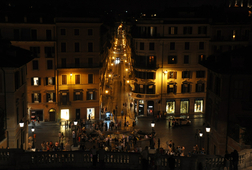 Then towards the beautiful Piazza di Spagna in which the name is derived from the nearby Spanish Embassy. since the eighteenth century, designed by De Sanctis, the famous landmark has a monumental stairway of 135 steps leading into the square Trinita dei Monti which is the name of the church facing the apex built in the sixteenth century. 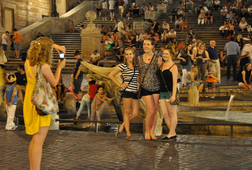 Continuing on the Rome by night walking tour from the Spanish Steps with a short walk of about 400 metres we will arrive at the famous Trevi Fountain. The fountains are powered by the Roman aqueduct of the Acqua Vergine. The fountain depicts an ocean on a shell-shaped chariot pulled by sea horses, led by tritons. 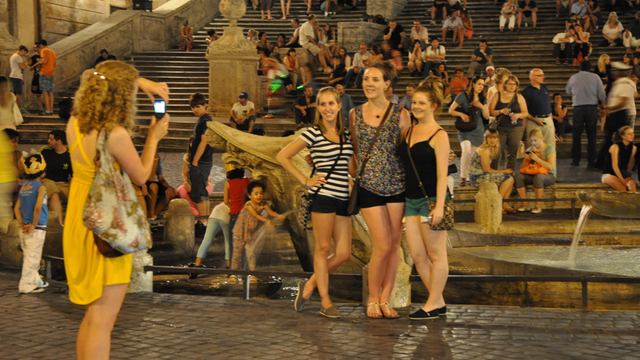 There is a custom, before leaving the tourist must throw a coin in the fountain and this act ensures the return to the Eternal City. 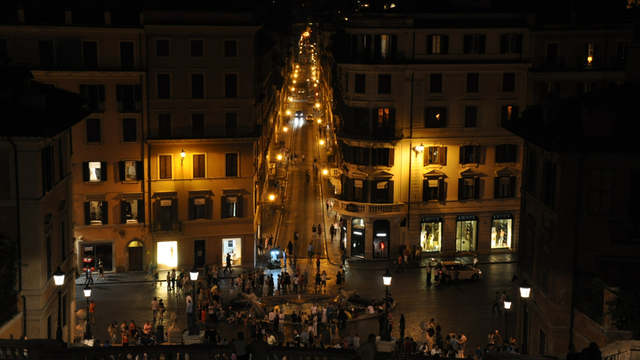 Our Rome by night walking tours continue then to the Pantheon, Piazza Navona and ends at Campo de 'Fiori. 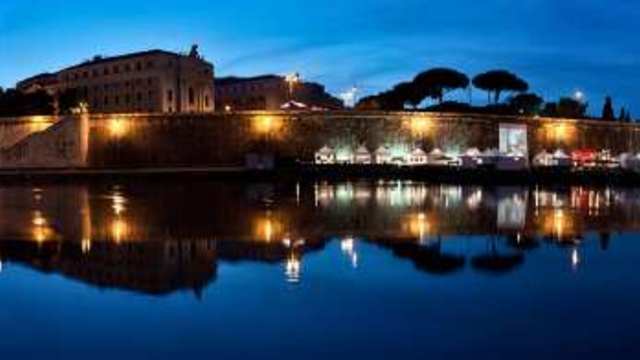 To experience Rome in the lights of the night is a totally different feeling from that of the day with a buzz in the atmosphere and our expert guide will show you the city in all its glory. 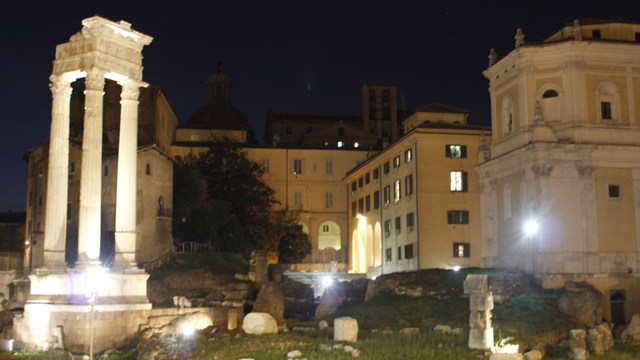 So dont wait...come joing us on one of our best Rome by night walking tours. This tour was exactly what we were looking for: a concise, focused tour of a lot of the city center's highlights with great commentary to accompany the view. The tour guide, Robert, was extremely knowledgeable about Rome both past and present. 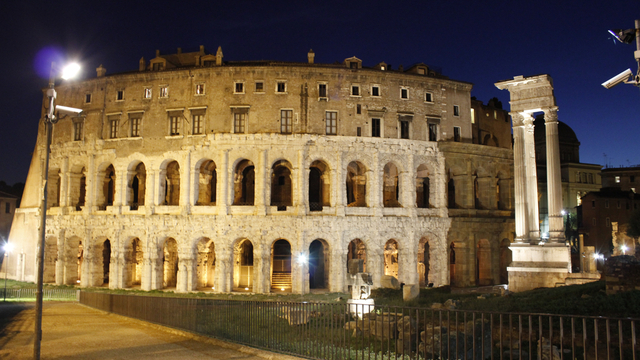 He mixed in great tidbits of fun things to do and see in present day Rome while painting a rich picture of the history the city has been through. The tour ended up lasting closer to 3h30m instead of the 3h00m listed so we even felt we got a better value for our money! I would recommend this tour 100% especially if you can get one of the smaller group tours and have more personal time to talk with Robert and pick his brain.